The word is out that Havana Manor is moving to Main Street! We are and should be moved in by early October. With this move, we will be expanding the range of tobacco products already offered at Havana Manor. In addition to our beautiful new Indoor and Outdoor Cigar Lounges, Havana Manor will now also have a neighboring Smoker Friendly Store. 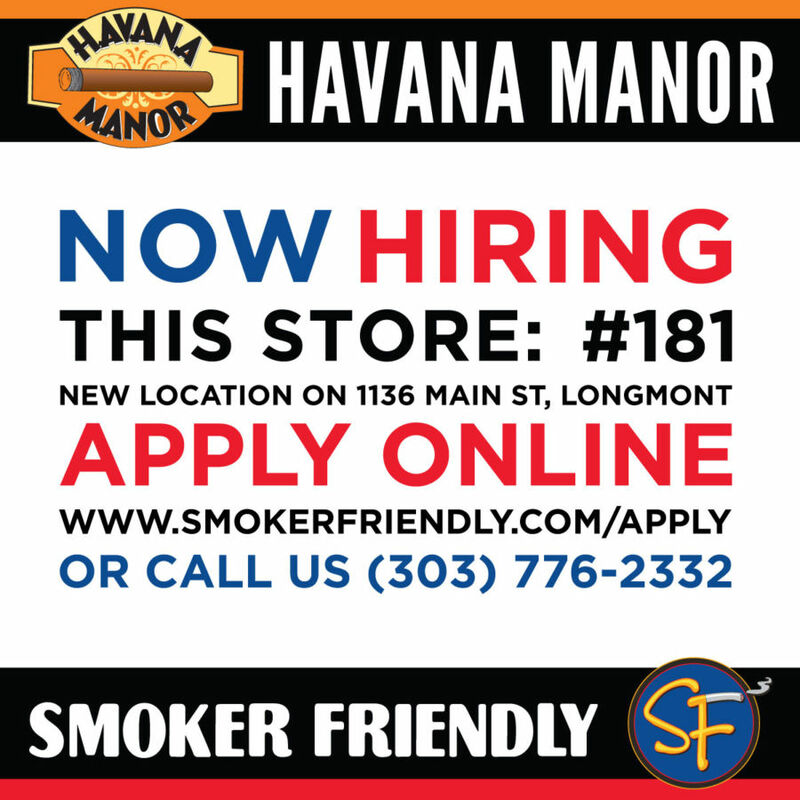 As we approach this move to our new Main St. location, Havana Manor is looking to add a few members to our sales team. If you are friendly, hard working, reliable, and love a good smoke, this is your opportunity to join our team. All applicants must be over the age of 18. To apply visit www.smokerfriendly.com/apply/ and reference store #181. This entry was posted in News and tagged Cigars, Havana Manor, Lounge, Main Street, Smoker Friendly. Bookmark the permalink.